Welcome to the French Sole blog! The dazzling Love Heart flats! Love is in the air and as the wedding season is upon us, this month I’ve been doing a lot of singing! 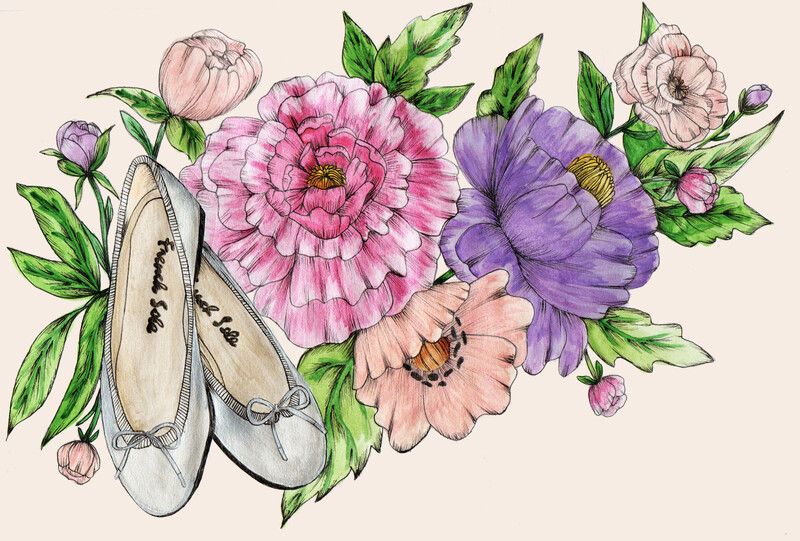 To quote Marilyn Monroe, my French Sole India flats, like diamonds… “Are a girl’s best friend”. . .
Those are praises sung from the soles of my feet! 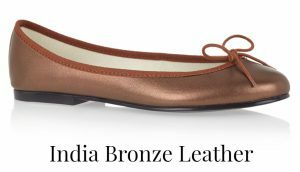 These toes haven’t stopped dancing, from one wedding reception to another and why would they when they’re feeling so comfortable while cocooned in the dazzling India ballet flats. 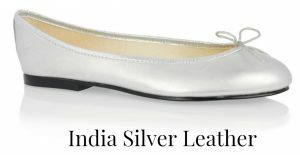 Formed from fine Italian leather in a shiny silver colour, these India ballets flats are part of the French Sole signature collection and were my choice for a friend’s wedding’s ceremony last weekend. Paired with an embellished tulle midi dress in mauve, they were the perfect compliment to my hosts’ perfect match. Simple and elegant with a coquettish toe cleavage, a pair of shining stars, not shy to receive compliments, yet refined enough to avoid upstaging the newlyweds. But I must be honest and confess that I can’t take the credit for this comfortable and stylish discovery. At an earlier wedding I spotted a pair in gold on one of the bridesmaids, only to find out later that it was a gift from the gracious and generous bride with exquisite taste, who gave a pair of French Sole ballet flats to all of her bridesmaids! Ah l’amour, l’ amour! These shoes have it all and it’s no surprise that their sparkle is now a shining accompaniment to this dazzling season. 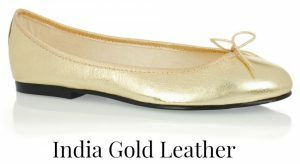 I’m very curious how other French Sole fans are styling their French Sole India ballet flats in silver or gold! 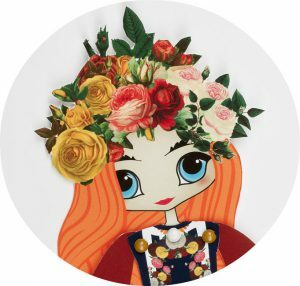 Do mention #frenchsoleblogbyamelie on your Instagram and I’ll be reposting the most creative looks on our FS page. Hello, my name is Amélie Florentine, I love beauty in all its forms but I also have a penchant for art, antiques and pink cakes. I keep a good book by my side at all times and I travel the world in my French Sole shoes, that I’m addicted to almost as much as pink macaroons. As a devoted fan of my most beloved shoe brand I’ll be sharing with you French Sole latests news and my own ideas of how to style their divine footwear with different outfits, so kick off your high heels and enjoy reading my posts!